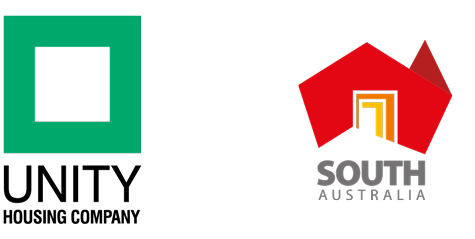 On the evening of Tuesday, May 23, the Australasian Housing Institute (AHI) held its bi-annual South Australian Awards for Excellence in Social Housing at The Tivoli Hotel in Adelaide’s CBD. For the art exhibition that was planned and conducted as part of the SA Living Artists Festival by a group of Unity boarding house and community housing tenants, led by Sheree Lockwood (tenant) and auspiced by Mel Allsop (Community Development Worker). For the complex and collegiate planning and implementation process and the tenant outcomes achieved by the partnership Alliance between Unity and Bedford, the largest housing transfer of its type in South Australia. Recognition of Matthew’s leadership of Unity to become the premier community housing provider in South Australia, and for his contribution to the broader social housing sector over 25 years. This prestigious event was attended by the Minister for Social Housing, Zoe Bettison, and senior executives from across the Government and Community Housing sectors. All Unity Staff are proud of these awards which recognise the collective efforts of Unity’s tenants, staff and leadership. Each of these award winners will be entered into the AHI’s Australasian Awards for Excellence in Social Housing that will take place in November in Sydney.